What’s the best online money making activity these days? Having said that, the level of income becomes the next consideration. How much can you earn from blogging? It depends on how you proceed, which tools you use, and which monetizing strategy you select for your blogs. Unfortunately, scores of bloggers fail to make online money for one reason or the other. The reason? They simply never consider the importance of choosing the best monetization strategy for a blog. If you want to know, which of these two strategies works best for bloggers, then don’t try to rush through this post, rather focus on all the aspects before making a choice for your blog. Let me first go through the advantages of each of these strategies, starting with AdSense. 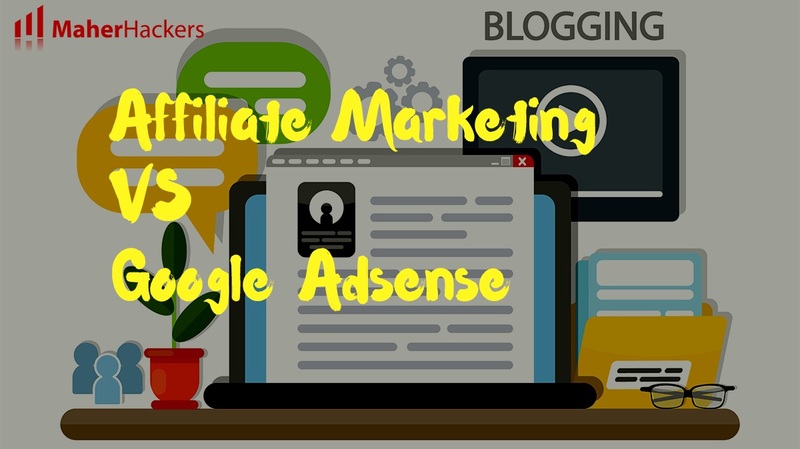 Google AdSense works quicker than Affiliate Marketing, and this is the reason why most of the beginners opt of this strategy in the early days. Even if you are not an expert, making money using AdSense is simpler and easier. To become an expert, it may require years, but thanks to AdSense, you don’t have to wait that long to start making money online. Who waits for years? Had there been no AdSense, new bloggers might have run away, considering online money making a mere dream. AdSense is simply about placing the ads on your blog. There is no need to look for the products, select the best among them, and start promoting in anticipation to help sales. AdSense is smart enough to facilitate your page with relevant ads. As a blogger, you need to know how to bring traffic to your blog. The major mistake that most of the beginners commit, is to attempt a bunch of keywords within a single post. The right way is to focus on your subject/topic and target the right audience, using the right keyword density. If you think that using more keywords is the way to go, you are actually hurting your page ranking. Implementing AdSense to your blog is very easy. You just sign up for an AdSense account, place AdSense code on your site and the ads will start showing up on your site instantly. You can use some plugins that can show AdSense ads to your blog posts, and other different places automatically, without having to add them manually every time. Affiliate marketing involves selling products through a sales funnel. Again, you need to bring traffic to your blog to serve the cause. You have to select products smartly. When it comes to reasonable passive income, Affiliate Marketing stands out. This is what makes it highly recommended, especially for experienced bloggers. You just need to have some marketing and communication skills and a sense of picking the right products. The key is to attract the right visitors to your blog. With each sale through your page, you earn a commission. Google AdSense has a major drawback; it diverts the attention of your readers. On the contrary, affiliate marketing engages your readers, and they stay on your page. This is one of the major reasons why the experts love affiliate marketing because they know the long-term significance of engaging readership. In the case of AdSense, you need huge traffic to generate sufficient income. But, affiliate marketing, if targeted smartly, can generate a healthy income, even if the number of visitors is not too high. You simply need to build trust. Choose the right products. Don’t try to promote low-quality imitations. Be truthful about the pros and cons. Once you build trust, your audience will visit your blog frequently in search of new products. AdSense does not offer freedom of selecting the relevant ads for your audience. This is why it diverts your readership. Affiliate marketing lets you select the products that are relevant to your targeted audience. Relevance encourages the readership to stay on your page showing maximum level of interest. In the case of Google AdSense, you have to wait for Google’s permission. When it comes to making money from affiliate marketing, you don’t need permission from anybody. So, affiliate marketing lets you act like a boss. Is it possible to use both monetization strategies on the same page? Yes, you can, but it is not a wise move. The thing is, affiliate marketing is the best strategy to turn your blog into a profitable brand in the long run. Google AdSense, perhaps, is the better choice for a niche site. Why is it not a wise move? 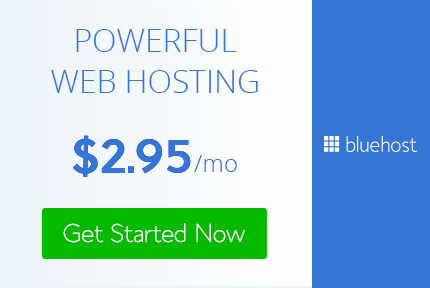 You don’t want your blogs overcrowded with ads. If you opt for both strategies simultaneously, the number of ads on the page will increase and ultimately result in an increased irritation in the readers’ mind. Ideally, a maximum of three (3) ads on a page is acceptable. Secondly, if your page shows more than three ads, it is a violation of Google’s AdSense policy. Which strategy is going to serve your blog better? The answer depends on three major considerations. As far as the traffic is concerned, over 100k per month visitors means that the page is attracting a huge audience. Here you need to check where the traffic is coming from. If the traffic is coming mainly from search engines, then Google AdSense is the better choice. If a healthy percentage of the traffic to your blog is coming from social media, and you also have a list of emails of potential buyers, then you need to consider Affiliate Marketing. The type of audience is important because not all the visitors are buyers. If your blog is about particular products and you can sense that readers are interested in knowing and comparing different products, then you can opt for affiliate marketing. If the majority of the audience visits your blog to read about a certain topic and is not interested in purchasing products, then you need to opt for Google AdSense. For instance, if your blog is about fun-facts, education, history, or viral content, then your readership is perhaps more interested in spending some good time reading your blog, rather than purchasing products. Once again, the topic(niche) of your blog can determine the choice of monetization strategy. If your blog is about wedding dresses, you may try promoting dresses from affiliates. But if the blog is about religious ideology, then it is better to opt for Google AdSense. Choose the products(more importantly, keywords and niche) smartly. I’ll recommend you select those products which you are interested. Knowledge about the products is the key. If you know nothing about a product, and you are trying to sell it through your blog, you can’t justify your stance. It could lead you to promote something which is low quality. As a result, your visitors will lose confidence and this is the last thing you can afford as a blogger. When you select a product you love and know about; you can produce genuine and true reviews. This is what earns you the reader’s confidence. Remember, you don’t act like a sales representative. Be natural, and try your best to guide your audience in the best possible way. Tell them why the product is worth buying, but in the meanwhile, don’t try to exaggerate things. Never try to repeat the affiliate links unnecessarily. One to two affiliate links are enough. More than that will create a sense in reader’s mind that you are begging for sales. Turn a deaf ear to whoever tells you the AdSense shortcuts. You’ll end up violating Google’s policy, which leads to the permanent closure of your account. Try to learn more and more about the placement of the ads and banners. It takes time, but you’ll learn it after trying different variations. Never try to use fake information when setting up a Google AdSense account. Believe me; it’ll lead to sheer disappointment. Don’t attempt to purchase AdSense accounts from others. Create your own and stay true about your credentials. Carefully go through Google’s policy for AdSense. Know about the violations and penalties. If your account is closed once, for violation, it is closed for lifetime. I personally prefer affiliate marketing for the reason that it has more potential in the long run. Yes, it is going to take time and effort. But, the fruit of your patience is sweeter. Google AdSense, no doubt, is a quicker way to start making online money, but in the long run, affiliate marketing wins the race. Though I still use Adsense with many of my sites and it is a good way to make money as well. It is not about making instant money; it is about making good online money on a consistent basis. When it comes to the amount you can make, affiliate marketing has no parallel. This concludes our comparison of Affiliate Marketing Vs Google AdSense. Which one are you using? Share your thoughts in the comments below.